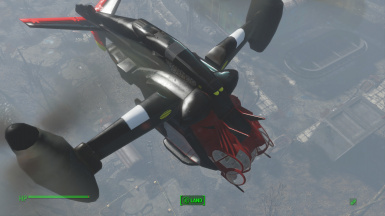 Paint your personal vertibird so it won't look like the others or pain them all. Your pick of 5 2k color schemes each with extra detailing: Red Harrier, Hawk, Silver Eagle, Kingfisher (Vanilla Plus), and Condor. 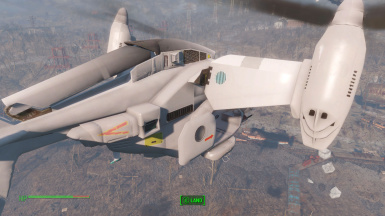 Thanks to this fine mod by Wintermuteai1, I got my own vertibird. Being no fan of postapocalyptic grays and browns, I took her to the shop for a paint-over. 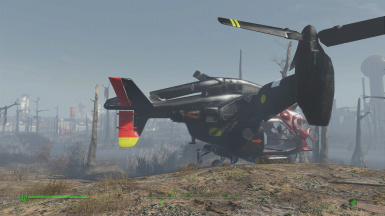 This mod offers 5 different "bird" retextures and you can decide if you want to repaint all vertibirds or just your personal bird), or else both kinds: yours one way and every one else's a different. 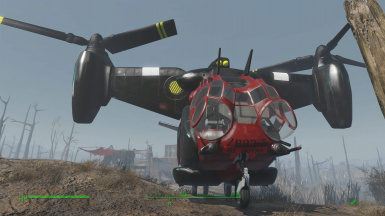 Note: for the retex all vertibirds option no separate mod is required. 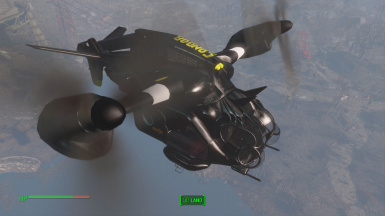 Also, the PCV paints only apply to the NO AI version of the PCV mod. 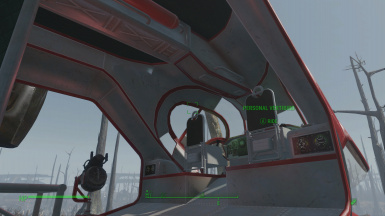 Para nos amigos espanoles: ahora pueden elegir pajaros personales para un vertibird muy personal (utilizando el mod que ha fecho wintermuteai1) o cambiar la pele de todos los vertibirds. 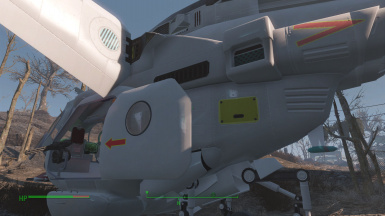 Nos joueurs francais peuvent choisir un style qui les plais pour leurs oiseux personels (grace a la mod de wintermuteai1) ou bien recolorer tous les vertibirds de la Commonwealth.